With the sun starting to show and the snow gradually melting, it's time for one of our favorite springtime activities: waterfall chasing! Grab your car keys and hiking boots and take advantage of this incredible season in the Pacific Northwest, and what better way to pack in the adventures than a road trip? Gas is (relatively) cheap. The sun is out. And the water is raging on the Olympic Peninsula. Spring waterfall road trip anyone? We've put together the ultimate road trip around the Olympic Peninsula that covers nearly 450 miles through Hood Canal, Olympic National Park, and along the Pacific Coast. We're going to start this itinerary in Olympia, but you can certainly jump on the loop from Port Townsend to the north or Aberdeen in the south. 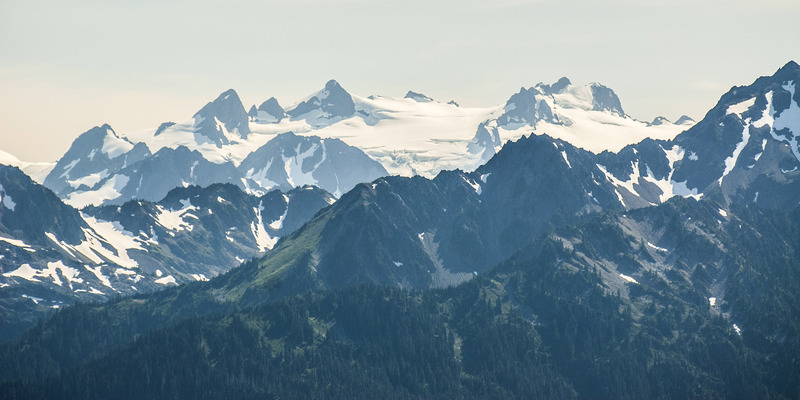 We're also going to include some other amazing adventures along the way as it would be a shame to miss out on some of the highlights of the Olympic Peninsula. From Olympia, head north on Highway 101 and start your road trip by exploring the Hood Canal. Hamma Hamma Falls. Photo by Matthew Williams. It's about a 45-minute drive from Olympia to Hoodsport, where you can follow Highway 119 to the west to pay Lake Cushman a visit or head to the Mount Ellinor Trailhead for a 3.2-mile calf-burner to impressive views of Western Washington. For a less heart-pumping option, head north for 20 miles to Hamma Hamma Road and follow it to Hamma Hamma Falls. Another option in the area is a 6-mile hike to Lena Lake. Once you're back on Highway 101, keep heading north and make a quick stop at Rocky Brook Falls. 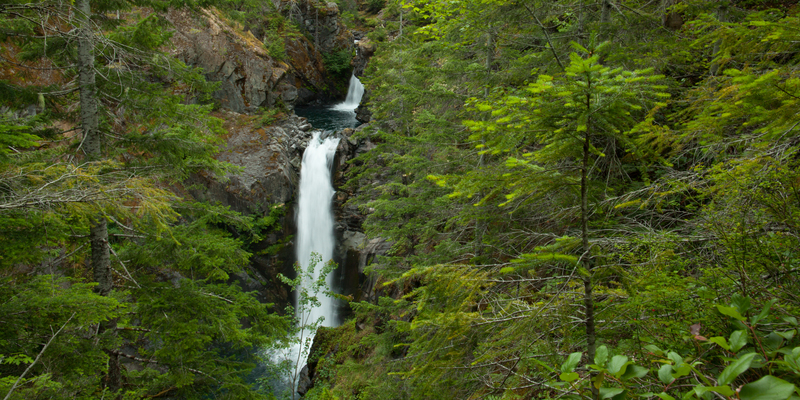 Next up is an 8.4-mile hike to see Royal Basin Falls, one of the most beautiful waterfalls in Olympic National Park. View of Mount Olympus from Hurricane Ridge. Photo by Tyson Gillard. From Port Angeles, you need to venture into Olympic National Park to Hurricane Ridge for panoramic views of the Olympic Mountain Range. If you have time for a hike, the 3-mile Hurricane Hill or the 4.6-mile Mount Angeles Switchback Trail are both fantastic options for even more views and far fewer people. Not far from Snug Harbor you'll find Sol Duc Hot Springs and the less developed Olympic Hot Springs. If you'd prefer a cold dip, you'll pass Lake Crescent on Highway 101 as you head west toward the Pacific. Don't go too far or you'll miss Marymere Falls, a short walk to a 90-foot fall. 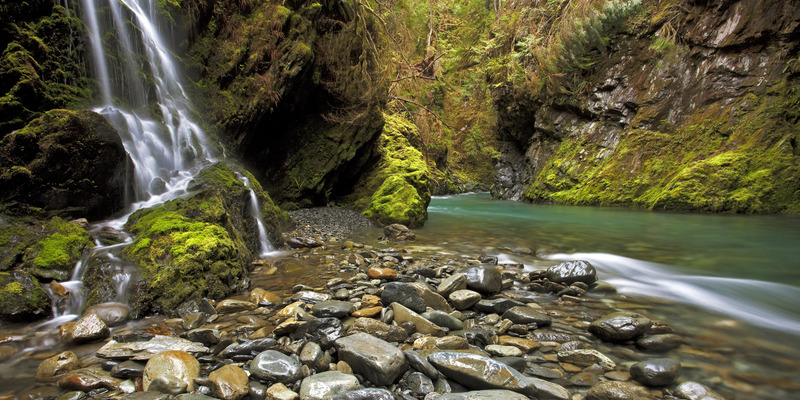 Also in this area you'll find Sol Duc Falls, the iconic 50-foot waterfall and slot canyon. 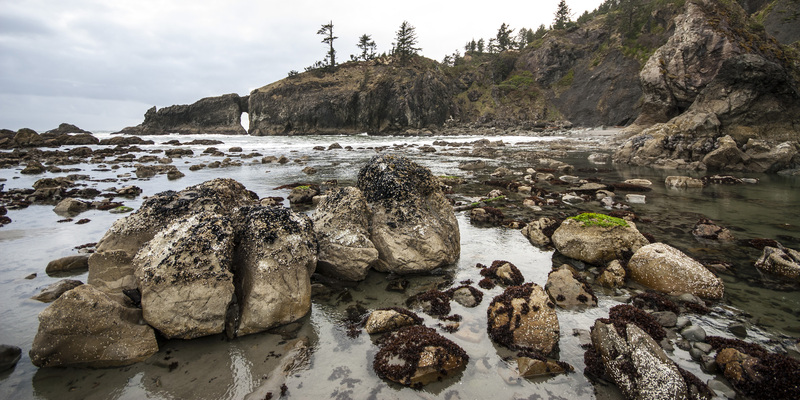 If you decide to follow Highway 112 along the Straight of Juan de Fuca, you'll want to stop at Tongue Point in the Salt Creek Recreation area to visit the tide pools and check out the incredible sea stack formations. Taking Highway 112 to the end, you'll be rewarded with a remote and beautiful destination that allows you to get away from the crowds, Cape Flattery. La Push, Second Beach. Photo by Tyson Gillard. A trip around the Olympic Peninsula is not complete without a stop in La Push to visit one of the scenic beaches in Olympic National Park: Rialto Beach, First Beach, Second Beach or Third Beach. As you head south on Highway 101, you should turn on Upper Hoh Road and head to the Hoh Rain Forest and walk the Sitka Nature Trail and visit the Big Sitka Spruce. You'll pass a number of great beaches along 101 as you head to Lake Quinault including Kalaloch Beach 1. Quinault River at Pony Bridge. Photo by Gerard Smith. ​The hoop around Lake Quinault along S Shore Road will take you to a few waterfalls that should not be missed, Merriman Falls and Bunch Falls. Also on this road you'll find the historic Lake Quinault Lodge. Not only will you enjoy sitting by the fireside for a retreat from the area's often overwhelming rain, you can also relax in one of the many Adirondack chairs on the lawn, stroll on the lake's pebbly shoreline, or jump on the Lake Quinault National Trail System that departs directly from the lodge. Get a taste of the Enchanted Valley and hike the 5-mile trail to Pony Bridge to see Cascade Falls. From here, you can round out your trip by heading back to Olympic or head south for more road trip adventures on Highway 101. I've done this trip...it rained for most of our trip and it was still one of the best hiking/camping/photography trips ever! A must see! Lake Quinault is a fabulous stop on the Olympic Peninsula. Begin your trip in Aberdeen, maybe even take a detour and drive up Highway 109 to Ocean Shores. Then continue up to Seabrook before jumping on Moclips Road to take your directly to Lake Quinault. A drive around the lake will offer many opportunities to spot Roosevelt Elk, named after President Roosevelt's historic trip around the Olympic Peninsula and the creation of the beautiful Olympic National Park we see today. Stop in to the Grays Harbor Visitor Information Center in located at 506 Duffy St. in Aberdeen for more tips to make the most of your road trip.